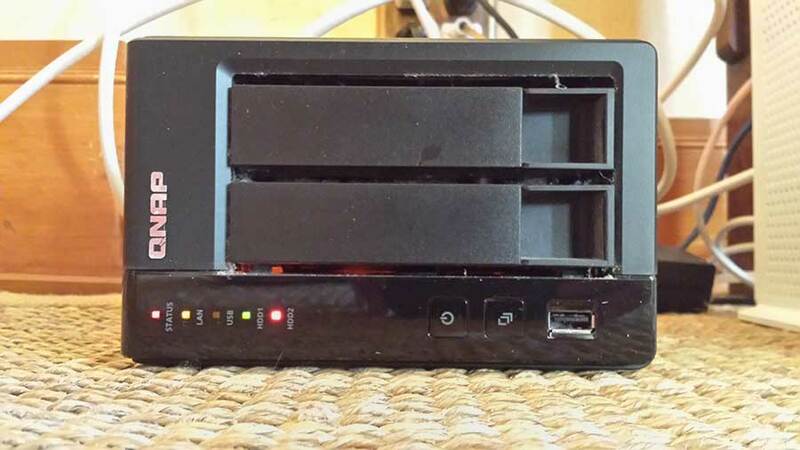 I’ve been using QNAP NAS devices for probably 6 or 7 years now. I’m currently on my second QNAP NAS. I upgraded my first device to a TS-219P II after I ran out of storage. While I was pricing out new drives on my original unit I looked at the cost of replacing the entire thing. Being risk averse I didn’t have too much faith a 4 year old hardwware. Looking at the costs it seemed like replacing my 4 plus year old NAS seemed to make sense. That replacment decision was about 3 years ago. So imagine my dismay when I recently walked into my office and saw a little HDD2 red light go on. After 7 years, the hard drive Gods had finally unleased their wrath. 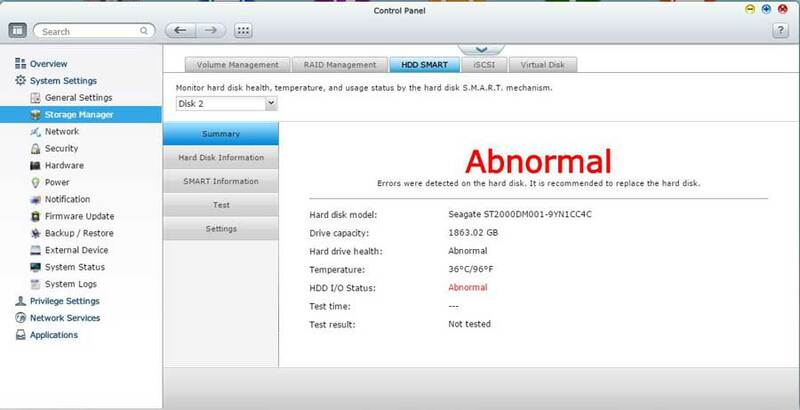 I should be careful to call out, this doesn’t look like a QNAP issue and hard drives are mechanical devices so failure is emminate. Just glad I had all my photos on there backed up on raided drives as well as backed up to the cloud. Selected the offending disk, Disk 2, from the drop down. Looking into the issue through the Admin console I found out that I’ve got a bunch fo bad blocks on one of the drives. Looks like it’s time to buy some replacement drives. Uh-Oh, I know I’m abnormal, I can live with that. But an abnormal drive, no way, time to replace it. I am currently storing about 1.4 terrabytes of data on my drives. With the QNAP OS and associated overhead that means I have about 400 GB of remain space at the moment. Not enought to make me comfortable. That data also doesn’t include my wifes collection of photos that she has spread across 3 different Macs. It seems like a good time to do an upgrade. With the current 2 TB drives that I have I could easily fill them in the next 6 to 9 months. As a tech geek I was looking for a some information on reliable hardrives and found a great set of data from Backblaze. Looking over their reliability numbers I’ve decided to upgrade to 4TB HGST drives from Western Digital. I pulled the trigger and ordered 2 4TB HGST drives and one 2TB USB external drive. Even though I use Crash Plan to backup all of my photos on my NAS it seems to be a good measure to backup my current 2TB of data locally to an inexpensive USB drive before I start swapping hard drives on my QNAP. This will also be faster in the case that I need the data immediately during the upgrade process. I won’t have to connect with Crash Plan and ask them to send me physical drives. This will be a nice test to see how easy it is to upgrade drives in a QNAP. My fingers are crossed that it will be as easy as the hot swapping documentation suggests. Check back in about a week and I’ll let you know how it goes. This entry was posted in Equipment Review, How To.